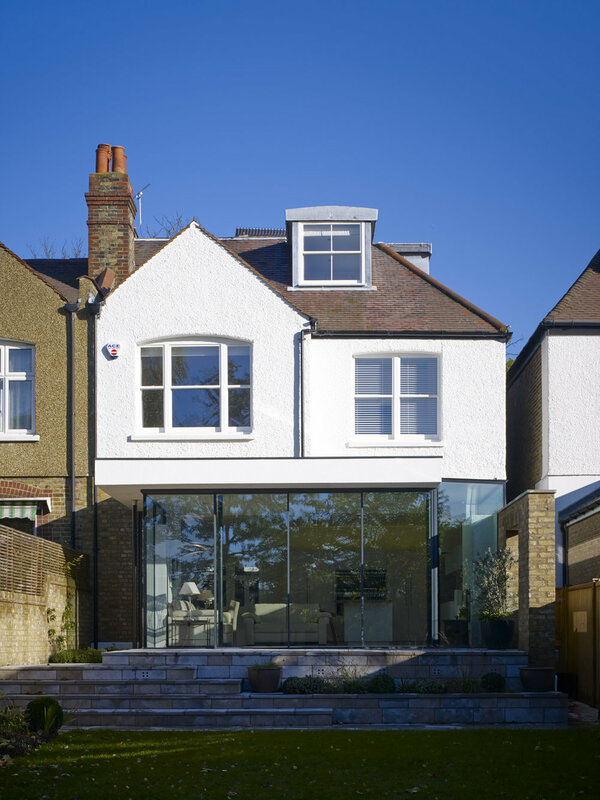 Our design sought to achieve a complete refurbishment whilst enhancing the more traditional features of the building. 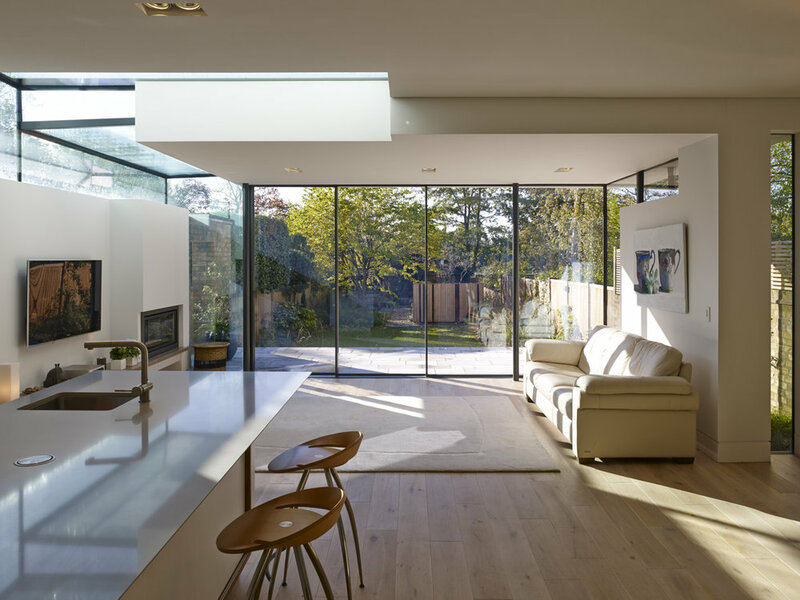 The interior was remodelled to create a sense of space and harmony, including the creation of a kitchen/family dining area with large skylights and sliding doors which serve to maximise solar gains in the winter. 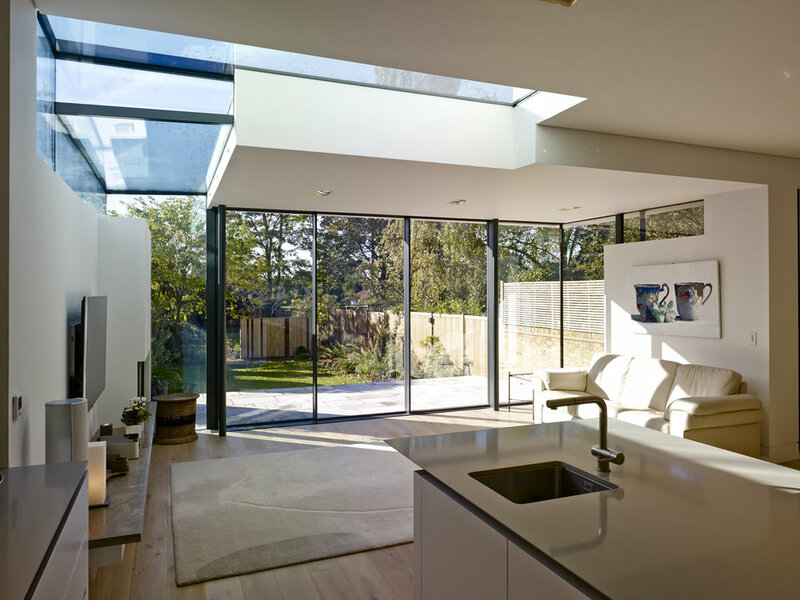 This space remains cool in the summer from the shading of the deep overhangs and roof light above the staircase, providing stack ventilation. 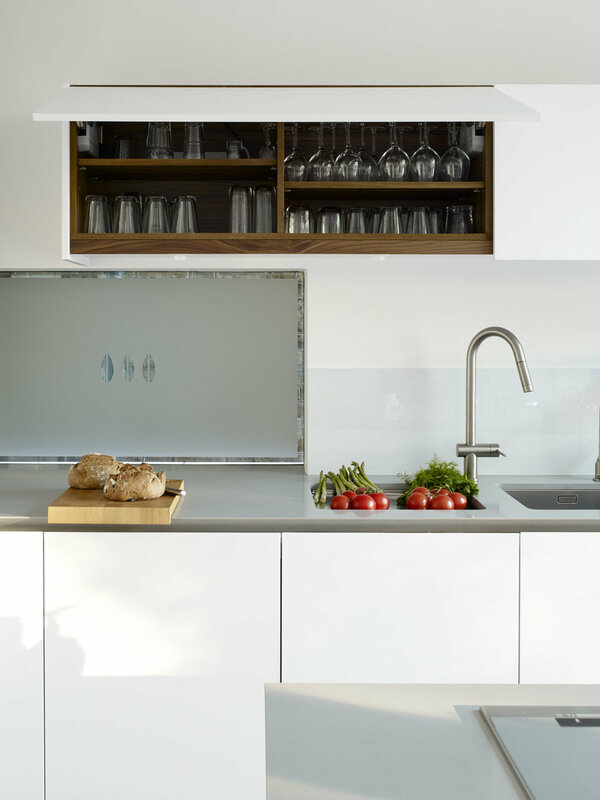 Renewable elements incorporated into the refurbishment include a green roof, rain water harvesting system and a solar thermal panel. 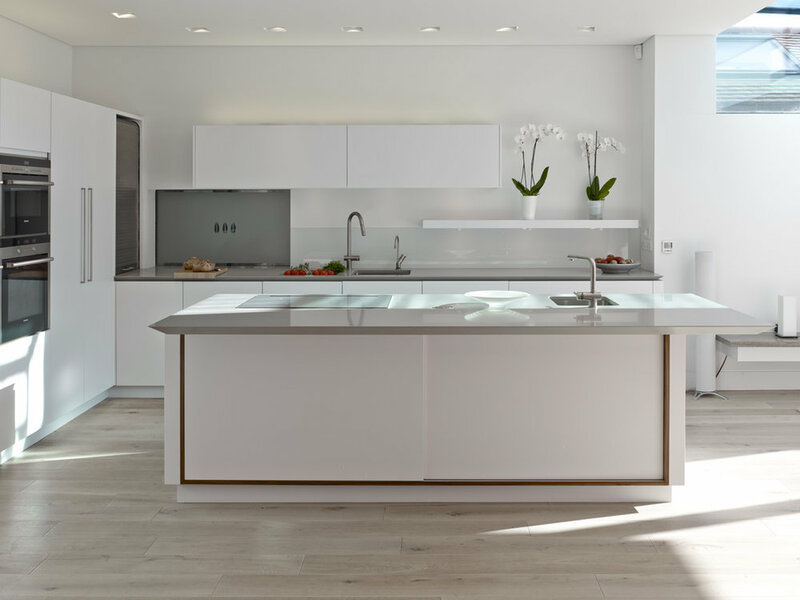 Further contemporary elements include an automation system, underfloor heating, media and lighting controls.